"In 1400, the Duke of Milan had a rather brilliant idea. He planted a collection of mulberry trees around Lake Como, delighting local silkworms and kick-starting the greatest silk industry in history. For many hundreds of years Lake Como’s silk production has been the stuff of sartorial legend; in 1972 it officially exceeded that of Japan and China. We’re proud to continue its heritage with a superb collection of linen-silk ties." 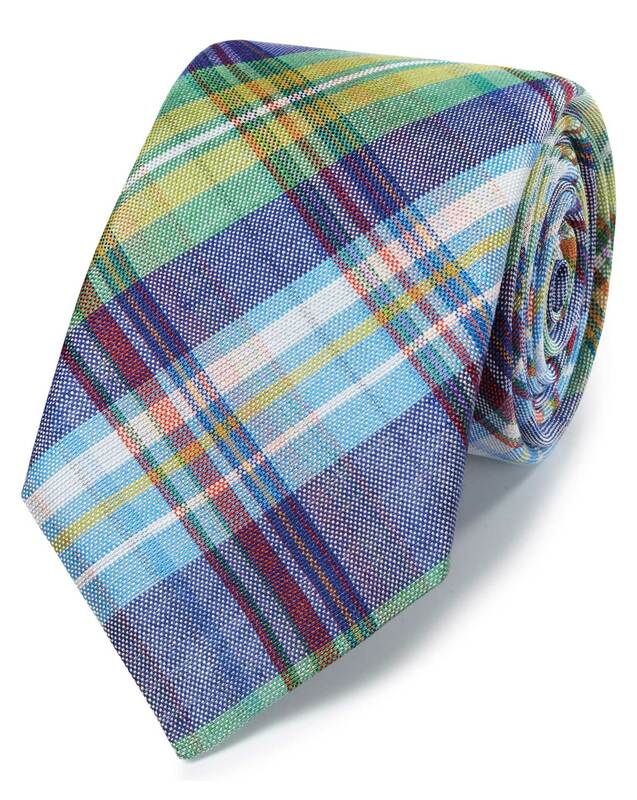 "Crafted in Lake Como, Italy, from a blend of linen and silk, this tie is a luxurious summer choice." 1 month ago Beautiful tie. Great tie, quality silk. Came in good condition.